Games are a great way for students to learn the basics of entrepreneurship. Even elementary school kids can learn the positive aspects of having an entrepreneurial spirit, as well as the value of time and money management. Whether they go into business for themselves or not, children who learn about entrepreneurship will gain a better understanding of the worth of their abilities and how they can develop them. A number of entrepreneurship games for students are available online and offline. Here are few of the better ones. Fedville, from the Federal Reserve Bank of San Francisco, is an online town built for kids that can be found at https://www.frbsf.org/education/fedville. In Fedville, kids can open a virtual savings account at the local bank and watch their money grow. As they learn their way around town, they can earn trivia cards. There are also movies about saving money, and kids can virtually shop at local stores, but only if they have earned enough money first. While this game doesn’t involve any virtual entrepreneurship, it is a good way for younger kids to get introduced to the basic principles of spending and saving. Entrepreneurship games for students aren’t limited to those for high school and younger. Industry Player, at https://www.industryplayer.com is an entrepreneurship game for college and graduate students. It simulates every aspect of entrepreneurship, including investment, financing, strategy, consumers, banks, workforce, environment, and interaction with competitors. While the full game is not free, there is a free trial available at the website. Of coursem online Entrepreneurship games for students overview would be incomplete without the famous lemonade stand. Students can set one up at https://www.lemonadegame.com. The goal is to make as much money as possible in 30 days by setting up a lemonade stand. Players control pricing, quality control, purchasing of supplies, and inventory control. Other factors include unpredictable weather, and customer satisfaction, which customers will share with their neighbors, friends, and relatives. But online isn’t the only place you can find entrepreneurship games for students. Sometimes there’s nothing like a classic board game for learning and positive social interaction. The Ice Cream Board Game, for approximately ages 12 and up, lets players develop their business skills by running their own ice cream stand. The players have four days during which they try to bring in as many customers as possible. This is a good game for introducing middle school age kids to the basic concepts of running a business. The Ice Cream Board Game is available at https://www.boardgamegeek.com/boardgame/12829/ice-cream. 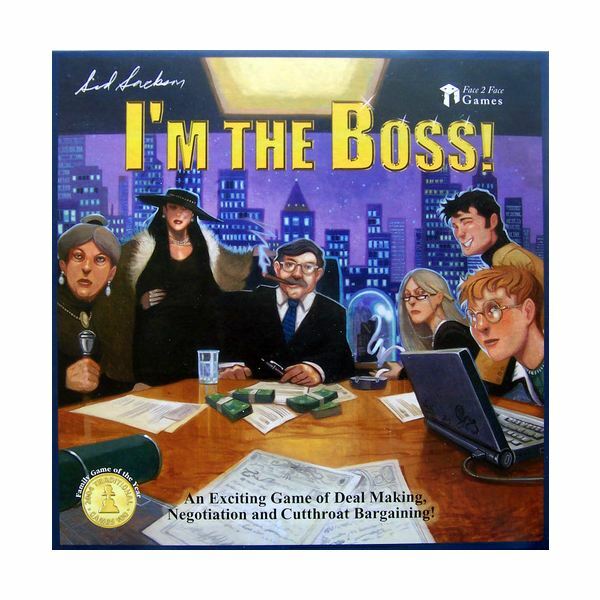 Another great example of entrepreneurship games for students is I’m the Boss!, which bills itself as a game of negotiation, dealmaking, and “cutthroat bargaining." During the course of the game, as many as 16 deals can be made. A player successfully making a deal is given a certain amount of money. But to close the deal, he needs help from other players in exchange for a piece of the action. The winner is the player with the biggest bankroll after 16 deals. I’m the Boss! can be found at https://www.boardgamegeek.com/boardgame/115/im-the-boss.